Prasiddhi Ascent is an exclusive Apartment project from Prasiddhi Group that offers spacious luxury Apartments for decent lifestyle located at sahakaranagar, well networked in the Bangalore city with a distance of 1 km from Outer Ring Road and 2 km from Hebbal flyover. Welcome to mbr sinfonia with 28 luxury apartments in walking distance for mysore road. We mbr builders, deliver the complete touch to your imagination for a beautiful life style, with its teamwork of finest architects, structural engineers, land escape architects and best construction team for quality construction of its own. Luxury1 BHK, 2 BHK&3 BHKApartments at SARJAPUR ROADRs.11.50 Lakhs onwards. - Project Approved by Leading Banks Like HDFC, LICHF, Axis Bank etc. Project Highlights 2.0 BHK and 3 BHK Vaastu Complaint Flats. - Ground Plus 3 Floors. Totally 28 Flats. 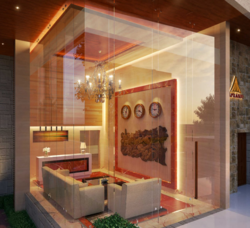 One of the most prominent residential projects in Koramangala and only 500 meters from shopping malls, this 8, 000-square-foot modern residence is an ongoing project. The residences are aglow with the world of qualities suitable for a comfortable living experience and intimate lifestyle. Description : Wood Haven, a residential apartment project concieved meticulously, is conveniently located at Bondel a picturesque locale, not far away from city of Mangalore, Perched at a hill and over looking a valley, Wood haven comes with al perks that nature has to offer. An expanse of green around the project and a sea view at higher floors, the loaction could not have been more suitable. Engaged in providing services which includes luxury bathroom. Emerald Estancia an architectural masterpiece which would be approved by BMRDA comprising of 2 & 3 BHK luxurious apartments on Sarjapur main road , Sompura gate, IT Hub which is close to many well known locations such as Educational institutes, Hospitals, Shopping complex and Places of Entertainment .